view another article... This foot condition is the new back pain — it’s everywhereCarestream, CurveBeam to spread word about weight-bearing CTNew Cartiva ImplantPain Free Plantar FasciitisUFAI featured on ABC NewsCarolina Panthers Star Lotulelei's Foot InjuryFoot Surgery InnovationsBiggest Opportunities for Foot SurgeonsDoctors TV Show - Foot Surgery while Pregnant10 Diseases Your Feet Can Reveal, Readers DigestPlantar Fasciitis TreatmentsThe Doctors TV, Living with Plantar FaciatiisHow to Stop Foot Pain for Good44 Ways to Correct Hallux ValgusDo fat-soled running shoes protect aging joints?Ankle replacement can restore mobilityCam Newton's Ankle InjuryMinimally invasive Foot & Ankle Surgery49ers' Crabtree 'amazing' Achilles recoveryAbout Kobe Bryant's Knee InjuryCurry more likely to play than Bryant3-D Scan Reveals Foot Damage by High HeelsAlbert Pujols' Foot InjuryWill Kobe Return? Doctors Raise Questions About Laker Star's Future In The NBAKobe Bryant's difficult task ahead after injuryPau Gasol's return from foot injuryIs barefoot running a bad fad, or better choice?Born to Run Barefoot?Born to run barefoot? Some end up getting injuredCan a $15 basketball shoe have game? I also spoke at length with several doctors and athletic trainers, including Dr. Bob Baravarian of Saint John's Health Center in Santa Monica, Calf., who provided invaluable insight into the process. Most of these conversations were off the record due to NBA and privacy regulations. 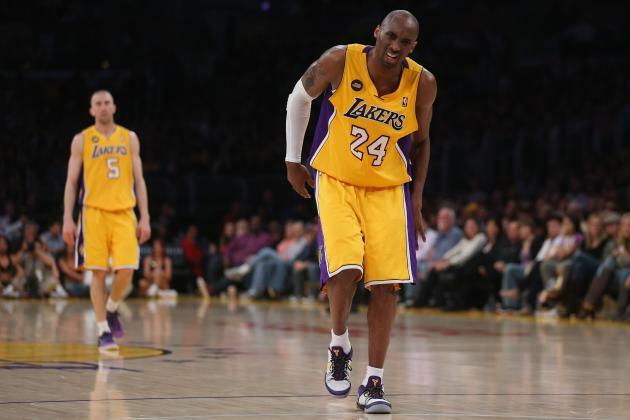 Kobe Bryant ruptured his left Achilles tendon on Friday night and was on a surgeon's table less than a day later. This kind of rapid response is normal for a high-level athlete, but the surgery is just the beginning. Many NBA fans, and Bryant himself, are questioning what happened in the surgery. They're wondering what the next eight to 12 months will bring for Bryant. They're questioning whether or not he can return to play and what kind of player he will be if he does. Bryant himself addressed the "doubters and haters." While the media and fans speculate about what might happen, the medical processes in place are often hidden but are the most important thing to understand if you want to know why some players succeed after a major injury and why some don't. Much of that comes down to the athlete, his rehab team and a little bit of luck. Professional athletes, especially elite ones like Bryant, have a better base to work from. They are in great physical condition, have good muscle tone and an unquestioned work ethic. A player like Bryant, who has had to work to maintain his knee injuries over the past few seasons, understands the process as well and has shown that he is willing to put in the time. That's a major plus. All rehabilitation information is taken from a standard post-surgical Achilles tendon rupture protocol created at the University of Missouri. There are many of these protocols out there, including one used by the Kerlan-Jobe Clinic, that will have minor variations. While none of this information is specific to Kobe Bryant or his rehabilitation plan, it will give you a general idea of how his rehab process will go.